Operating from our 20,000sq ft premises in West Yorkshire we have over 20 years experience supplying a discreet & confidential service to the Shopfitting industry. 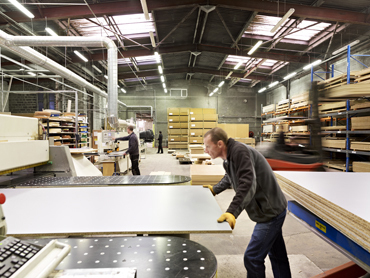 Specialising in Joinery based Retail Equipment, our state of the art factory houses the latest computer aided machinery for precision cutting, edging and drilling. Our skilled in-house Programming Dept can work in virtually any format to accurately interpret all requirements. Supported by our skilled full-time joiners, accredited fabricators, UV glass bonding technology and in-house finishing booths, we can offer anything from a single Modular Display unit, to large volume production runs or state-of-the-art one-off Bespoke furniture. We have the technology, skill and expertise to satisfy the most discerning Architects, Shopfitters and Specifiers.